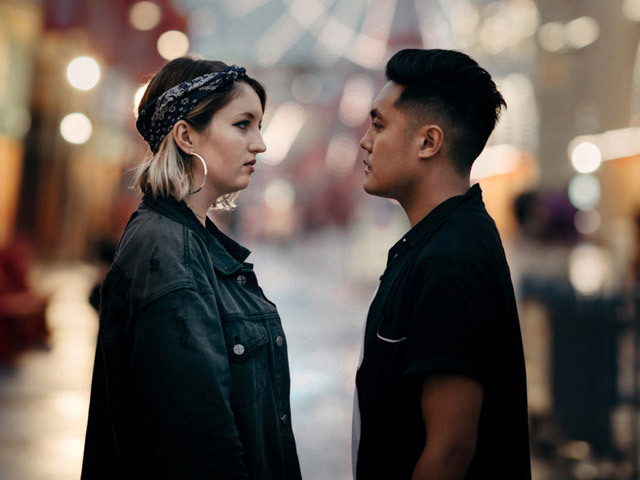 Sydney based duo Maari have returned with their indie pop hit 'That Summer' available in all stores now. It's the duo's 4th single since joining together and journeying on a whirlwind of success in their young careers. 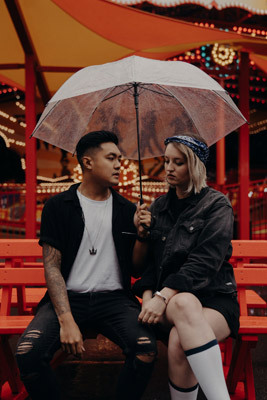 Having set their pace in the ever growing indie pop scene, 'That Summer' solidifies the style and the unforgivable honesty that has become a crucial differentiation between the duo and their peers. 'That Summer' is a twisted love story of passion, love and loss with lyrics crafted to give empowerment to our pain. Continuing to push the boundaries, the single was workshopped into several versions before settling on the vulnerable but energetic banger it is today. Maari: A combo of Indie Pop, Rnb and Future Bass. We love a mix of delicate and crunchy synths, walls of sound and big 'sing out loud' choruses! Question: What inspired the track, That Summer? Maari: When Kabusii brought this track to me, there was already a kind of character to it that I wanted to build upon. It's a bit of a twisted love story as it's dealing with passion and love but also guilt and loss. I wanted to write about a fading love and how hard it is to love someone but let them go. Kabusii brought the idea of 'Summer' to the table, and I wrote the hook 'He looks at me like you did that Summer' and the story unfolded from there. Maari: I love coming up with a hook, concept or character first, whether it's from my own experience or from another. I then create a little creative space in the studio (often darkness with fairy lights and some incense; post pizza binge) and write every feeling down to whatever music we have so far. I then do a lot of tweaking when I'm out and about as a song sticks with me until it's done! Kabusii does some of his best writing late at night when the world is still and he can just be with his thoughts. Maari: Waking up early every Saturday to jam out to the Rage countdown. I fell in love with so many artists and genres there and discovered my love of singing! Seeing Queens like Britney Spears, Gwen Stefani and Nikki Webster tear up the screen made me want to perform so badly... and so I made the garage my studio and started writing songs about heartbreak like a 10-year-old would know! Billie-Joe Armstrong from Green Day was a big influence for Kabusii. He was really inspired by his passion for song-writing, his charisma on stage and his iconic fashion (Kabusii may have been the first kid at school to wear skinny jeans). Maari: My middle name is Maree, so we created a bit of an alter ego by re-arranging the spelling. Spelt 'Maaari' in Tagalog it actually means 'possible' - so that was a beautiful unintentional twist! Maari: Kabusii and I have played music together for seven years in various projects, so we've always been musically connected. Six months before the formation of 'Maari' we started collaborating as songwriters on a project of my own. About seven songs and three gigs later we decided we had found our sound and officially became a duo. Maari: We love beautiful and intricate pop with unexpected influences; right now we are digging Kehlani, Billie Eilish, Julia Michaels, Vera Blue, Ariana Grande and Alessia Cara. Maari: We can both agree on pop lords Justin Bieber or Taylor Swift with no need for discussion (laughs)! Question: What is the biggest challenge you have faced in the music industry? Maari: Being self-managed means we do spend a lot of time in the studio taking care of our promotion and release schedules. Sometimes we miss the writing when we're caught up in the management of a release, but we certainly make sure we make lots of time for writing in between each single. Although it's a lot of extra work, we've loved seeing the other side of the industry and engaging with our audience personally. Maari: Kabusii and I are both lucky enough to make a living through only music-related work, so we're always kind of immersed in that creative mindset... however when we get time together in the studio, we're workshopping a list of tunes, going back and forth with each other on lyrical and production ideas and eating a whole lot of avo toast. Sometimes we'll actually just sit down and write a whole song together. Coming together like that and just being inspired by each other on the spot is kind of magical. Maari: To take the vulnerable and real emotional experiences of our lives and make them something beautiful feels like a gift. Music has been such an outlet for us in so many ways, and we hope we can be that outlet for other people too. Having both been lovers of all types of Art; we're so happy to find an Art that allows us to be exactly who we are and somehow make a living out of it!